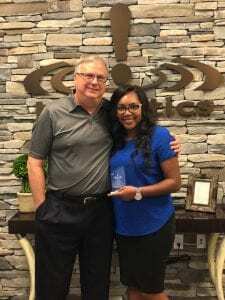 Congrats to Teligistics employee, Josalyn Dickerson! Josalyn won this months ROI Champion award by bringing significant savings to our customers. Teligistics ROI Champions are awarded every month to those that go above and beyond for our customers and deliver exceptional cost savings. We are fortunate to have such great employees that buy into the Teligistics culture and help bring results-driven value add to our customers. Congrats again!